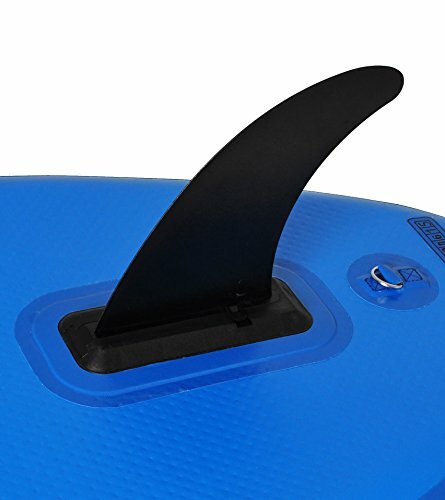 Measures 9’9″, 5″ thick. 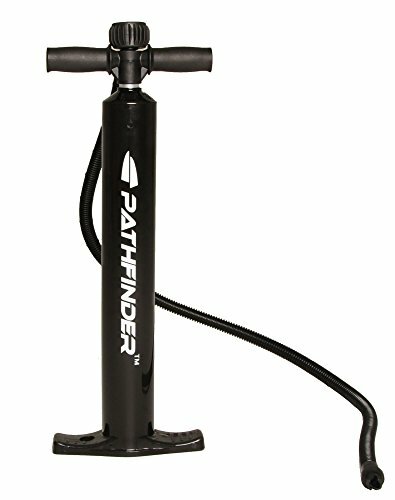 Portable and easy to store. 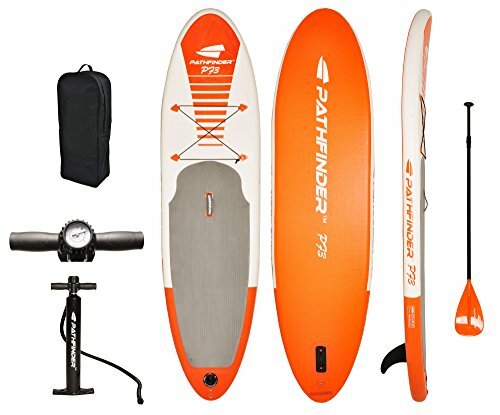 The Pathfinder Inflatable SUP is a perfect all-around SUP board. This versatile and durable board is 9’9″ long x 5″ thick. 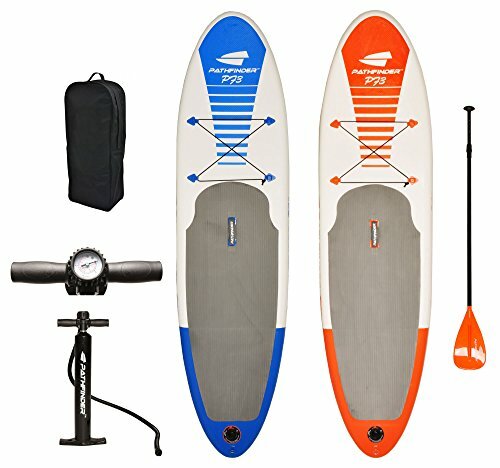 The complete package includes SUP board, high pressure air pump, removable center tracking fin, bungee tie-down, adjustable aluminum paddle, valve wrench, and a carry bag with shoulder straps. So portable and easy to store! 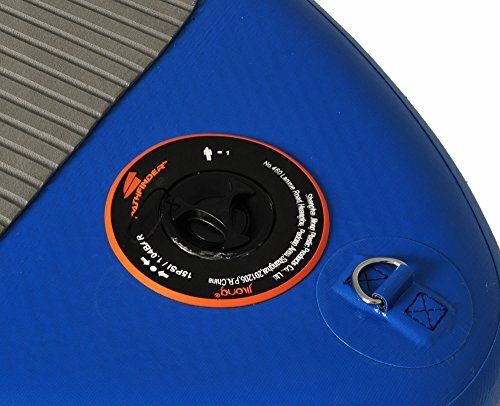 When fully inflated, it feels very similar to a hard board (inflate to 15 PSI). Great for all day family fun wherever the next water adventure takes you!